HomeTagsPosts tagged with "burnin’ up"
It's official: the Jonas Brothers are BACK with their single Sucker, and it's 2008 again. We're sporting frizzy hair, kissing their posters on our walls goodnight and blaring Burnin' Up on repeat. Their six-year-long hiatus really did break our hearts, but all is now rejuvenated. 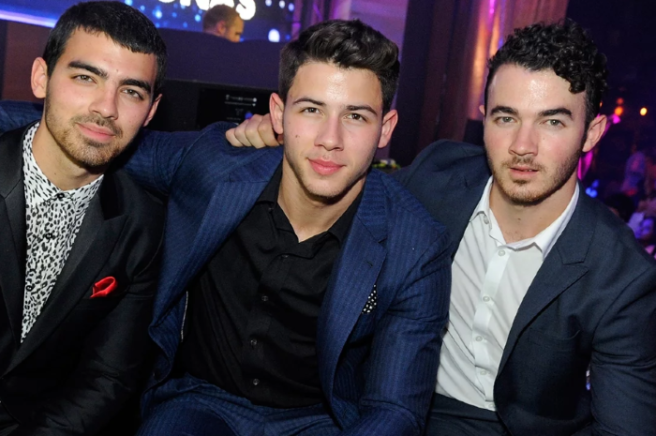 Joe, Kevin and Nick have reunited and it's clear by their new video that they're taken men. They've put rings on it, so to speak. 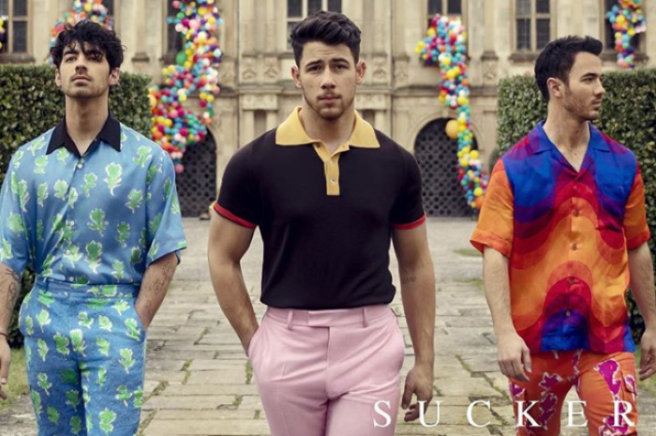 The partners of all three brothers feature in the track's new vid; Priyanka Chopra, Sophie Turner and Danielle Jonas, all looking flawless as they parade around a fancy mansion while their men serenade them.. The three brothers sing the lyrics to Sucker while gazing at their respective lovers, and it's intense; “I’m a sucker for all the subliminal things no one knows about you." It's a quirky video filled with glamour and colour, and PDA of course. 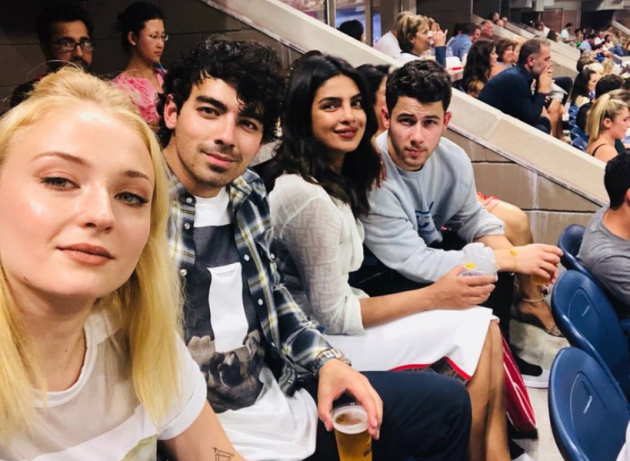 Priyanka and Nick literally can't keep their hands away from each other, and they're eye-f*cking WAY too much for us to feel comfortable. The brothers teased their reunion in a Carpool Karaoke slot for The Late Late Show with James Corden, with their last album being released back in June of 2013. The video looked like a lot of fun to film, with Sophie Turner sipping wine while soaking in a bathtub, gazing on as Joe looks at her with awe. We want that look too, we have to admit. "Me on my way to find a significant other after watching the Sucker video," one Twitter user wrote. We have to concur. "Me tweeting how much “sucker” by Jonas Brothers slaps," another wrote. So they're fans then? The memes of Sophie Turner licking her lips of course have done the rounds, and it's pretty gas. The song is already racing up the iTunes charts, and the video is getting the attention it deserves. We're so glad the brothers are returning to fix 2019, we needed some serious nostalgia and the lads have delivered.